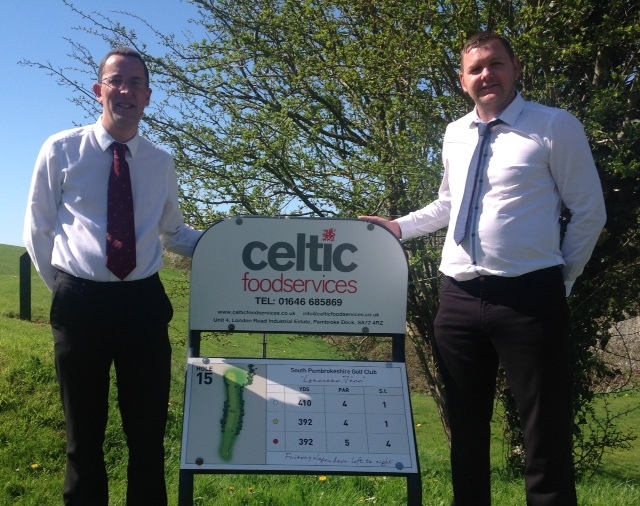 South Pembs Golf Club are proud to announce Celtic Foodservices as the new Club Main Sponsor. They will provide financial support and sponsorship for various competitions and events over the coming year. Club Captain Paul Grimwood recently welcomed Jason Davies, Operations Director of Celtic Foodservices Ltd to the club and thanked him for his support. 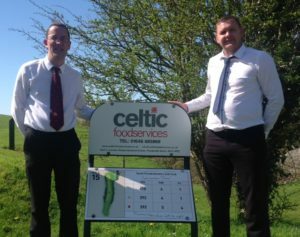 Celtic Foodservices Ltd was set up in 2009 to provide West Wales with a quality foodservice distributor. A joint venture between local Pembrokeshire businessman Allan Davies and EFG Foodservice Mr Michael Spinks of London, the company is able to offer a high quality local foodservice supported by the buying power of one of London’s foremost Foodservice wholesalers. They offer a diverse range of 3000+ product lines in their 12,000 sq. ft. modern warehouse in Pembroke Dock with a further 3000 specialist lines available to order. During 2014, they expanded their frozen foods and non-food ranges and will continue to offer monthly promotions brochure and magazine “Stir it up” featuring all the major Brands as well as over 900 own label products. Celtic Foodservices Ltd is an independent family run, catering food and drinks provider, offering a full range of ambient, chilled, frozen, alcohol and non-food products – both Country Range and branded. They offer a delivery service using their fleet of temperature-controlled vehicles, or a phone and collect service for local trade. Their customer base includes restaurants, department stores, county councils, local authorities, cafés, wholesalers, care homes, bakers, pubs, clubs and many other professional caterers. They offer the finest service and to do this at a price that is right for the customer. 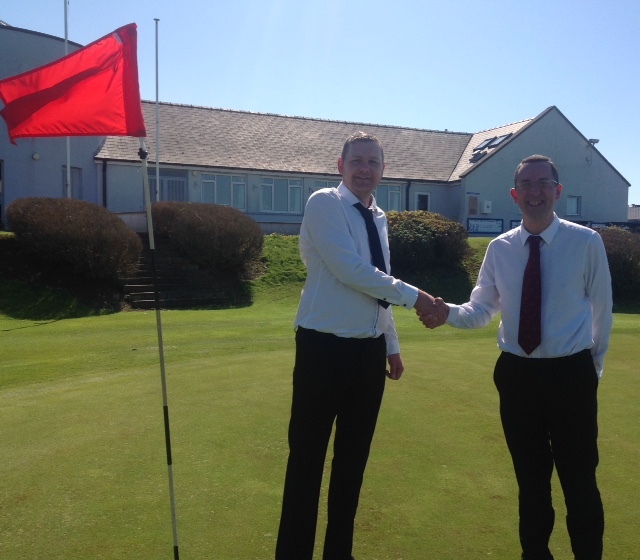 South Pembrokeshire Golf Club are one of Celtic Foodservices’ customers, using their quality food products in the View Restaurant, for day to day snacks and meals for members and visitors. We also provide facilities for private functions including weddings, birthdays, anniversaries, funerals etc. at very competitive rates. We also have a separate conference facility for local organisations and businesses. Contact Mell our club manager on 01646 621453, or why not come and visit to see the superb location, with iconic views over the Milford Haven waterway.